Hey you cool cats, I’m the ‘Nog Dog and the daddios at Sketchy Science have asked me to fill your glasses with truth about the silky smooth holiday concoction we call eggnog. While it may only be socially acceptable to down this tasty beverage for one month of the year, some jive turkeys have tried to take even that away from us ‘nog aficionados, claiming that this nectar of the gods is in fact a bacterial gut bomb waiting to happen. 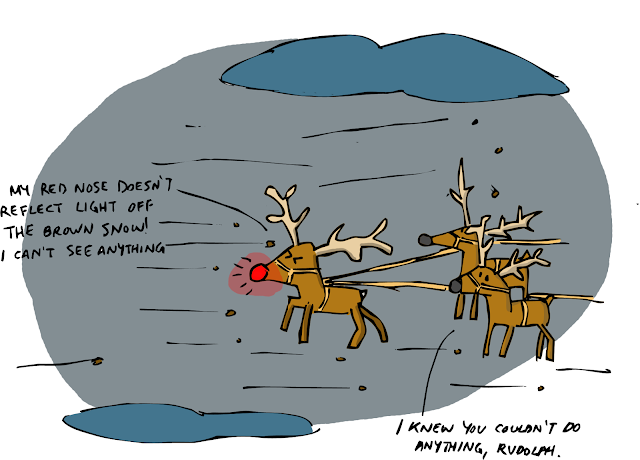 It’s time to set the record straight and get back into the Christmas spirit, if you catch my drift. 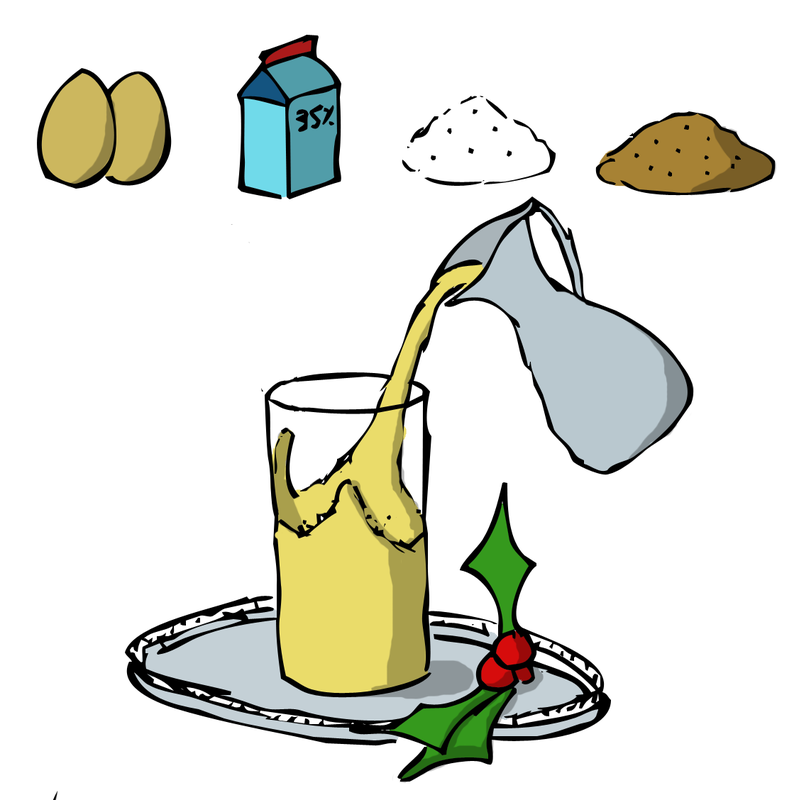 First up, let’s lay down what true eggnog is made up of. Contrary to the name, the key is dairy. Milk, cream, heavy cream, or the whipping kind - the choice is yours, but we can thank cows for the bulk of our ‘nog foundations. Beyond that, all you need is some combination of eggs, sugar, spices (nutmeg for purists such as myself), and booze (bourbon is the modern go-to, but I prefer the colonial staple: rum). The trouble with this formula is acid. Milk, it turns out, is 87% water with the rest being a hip party with fats and proteins forming the conga line. 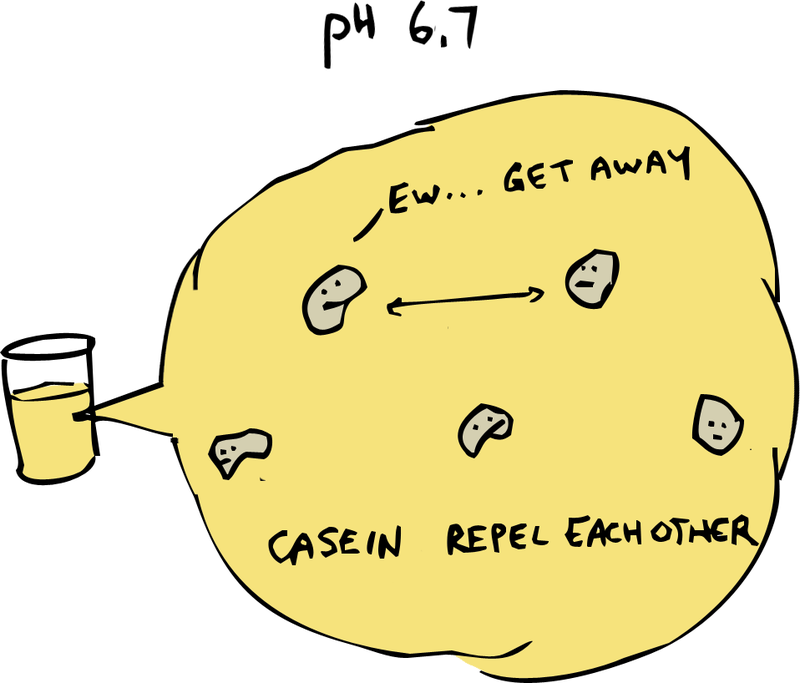 Most (80%) of those proteins are casein –the rest are whey – and when casein meets acid, it binds up into uncool chunks - most of us know as curdles. Water is a neutral liquid with a pH of 7, smack dab in the middle of the scale; but thanks to all the other stuff in milk, we are starting off on the acid side of true with a pH of around 6.7. That isn’t quite enough to make casein lump up (that’s why all milk isn’t full of curdles). The problems start when booze crashes the party. If we were making our ‘nog with rocket fuel (100% ethanol), things would stay as cool as the other side of the pillow; but spirits like bourbon and rum are only about 40% alcohol with the rest being an acidic mix of compounds with a total pH way down around 3 or 4. Try mixing that kind of booze with milk and you’ll end up with a tub of not-quite-cheese. To solve the problem, use fattier dairy products like cream or heavy cream. Believe it or not, fat is the friend of smooth ‘nog, as the lipids that make up fats slow down the formation of curdles. The higher the concentration of fat, the smoother the end product will be. That’s why I cozy up with heavy cream this time of year and it’s 36% fat profile. The other constant criticism of Christmas in a cup is that raw eggs have a risk of bringing salmonella to the party, turning your holiday mixer into a race for the bathroom. For starters, salmonella is about as common as a chocolate snowflake. Only around 8% of modern henhouses are salmonella carriers and only 0.012% of eggs from contaminated flocks carry this party pooper – pardon the pun. But let’s pretend that salmonella is everywhere. 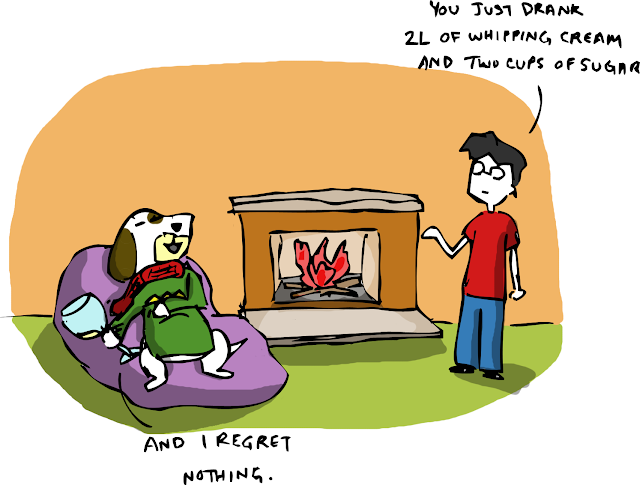 Even then, eggnog is a safer bet than Rudolph saving Christmas. Researchers at Rockefeller University have spent the past 40 Decembers studying salmonella in ‘nog and their findings should set your mind at ease. Where booze was the villain in our first ‘nog-conundrum, it’s the hero this time around. The alcohol in rum, bourbon, or brandy can zap salmonella back to October, if you give it enough time. Researchers Vince Fischetti and Raymond Schuch sampled ‘nog brews after one day, one week and three week intervals to see how much salmonella hung around once booze was in the mix. After one day and one week, purposely contaminated batches (containing the same amount of salmonella as in ten raw eggs) would still leave you feeling sorry, but by three weeks their petri dishes were as clean as your grandma’s couch and totally safe to drink. So it ends up that the key to totally safe ‘nog is slow aging. 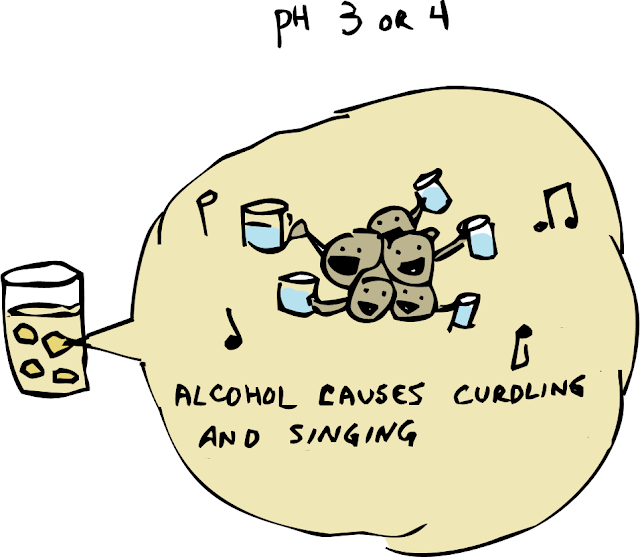 The booze will keep the bacteria at bay and fuel some passionate sing-alongs come Christmas Eve – provided you start your batch by the end of November. Obviously this can’t work for virgin ‘nogs, so use cooked or pasteurized eggs for the batches you whip up for anyone too young to drink. Just another reason why Christmas isn’t just for kids. 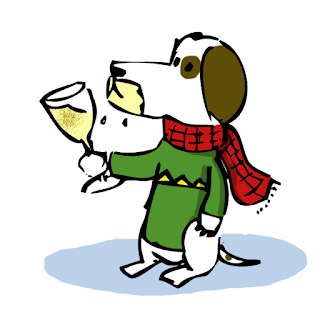 I hope I’ve set your mind at ease as we move into ‘nog-season. Until next year, this is the ‘nog dog signing-off.